The ISE show has just closed its doors with a record attendance. This is an opportunity for us to thank you for your loyalty and trust. You have indeed been over 800 to visit us during these 4 days. The growing interest fo our customers and customers-to-be for our range of products is a fantastic booster to keep on creating innovative and design solutions. For any information on our supports, protection enclosures, cables or plastrons, our commercial team is at your disposal so is the team of Erard D3C. They will be happy to give you supports in all AV projects. 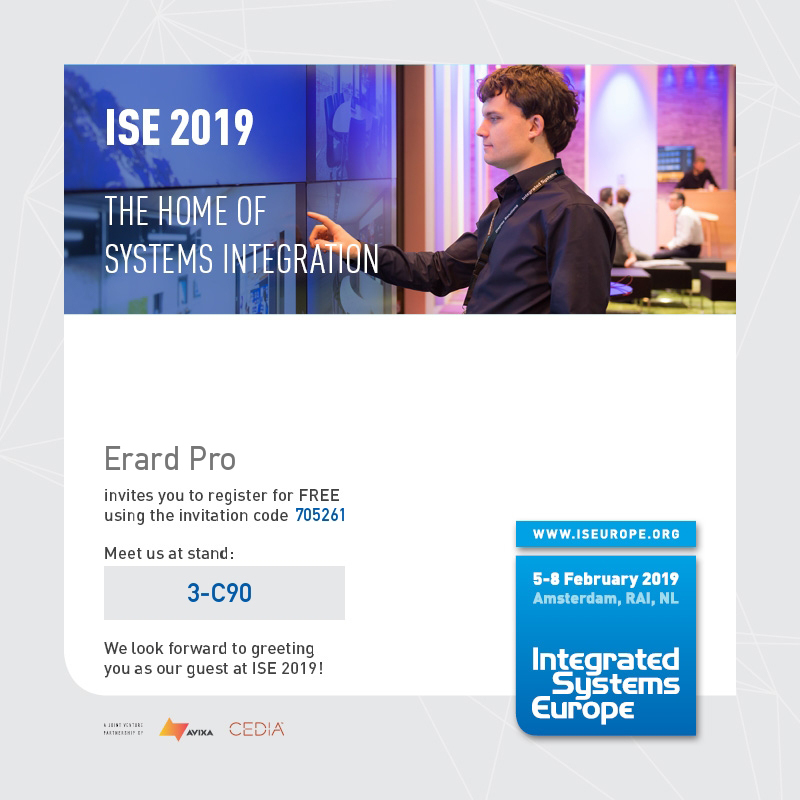 Erard PRO and Erard D3C will be attending ISE 2019 in Amsterdam from 5th to 8th February. We will welcome you with pleasure on our booth 3-C90 to discuss over our products, our novelties and your projects. 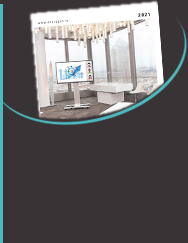 We will show you our range of furniture, support and protection solutions from Erard PRO and our connector and face plate range from Erard D3C. You will find here attached a code (705261) to get a free invitation. Erard PRO's team wishes you all the best for this new year. We wish you and your be-loved ones a wonderful year filled with happiness, joy and success in both your personal and professional life.